More organizations are taking advantage of virtualization to increase agility, reduce costs and more. But just like any other infrastructure component, the virtualized environment must be properly governed and audited for security and compliance reasons. 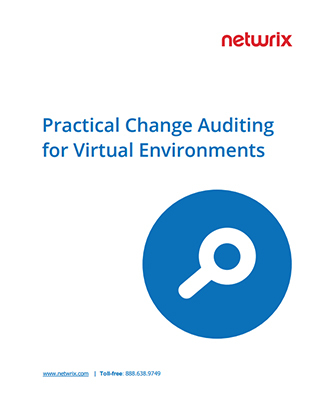 This white paper explains why change monitoring is critical in virtual environments and explores your options for auditing tools.